We made some tasty pork burgers tonight. Usually we go for the simple unseasoned version but today we added some great ingredients to the pork before cooking. Mix together all ingredients and form into 4 patties. These would be awesome grilled but it was late and cold tonight so I opted for a simple pan cooking. It took about 10 minutes over medium heat; cook until pork is no longer pink in the center. We served ours with guacamole, red onion, and lettuce… yummy! I can’t resist a good pork burger. I like mine simple. I don’t add fillers, just meat patties with seasonings. We love to grill too. Charcoal is our way to go. I didn’t used to think I cared for charcoal; lighter fluid is rather pungent; then I discovered the natural wood briquettes and I don’t buy anything else. No starters needed just a chimney or a nice mound will do. 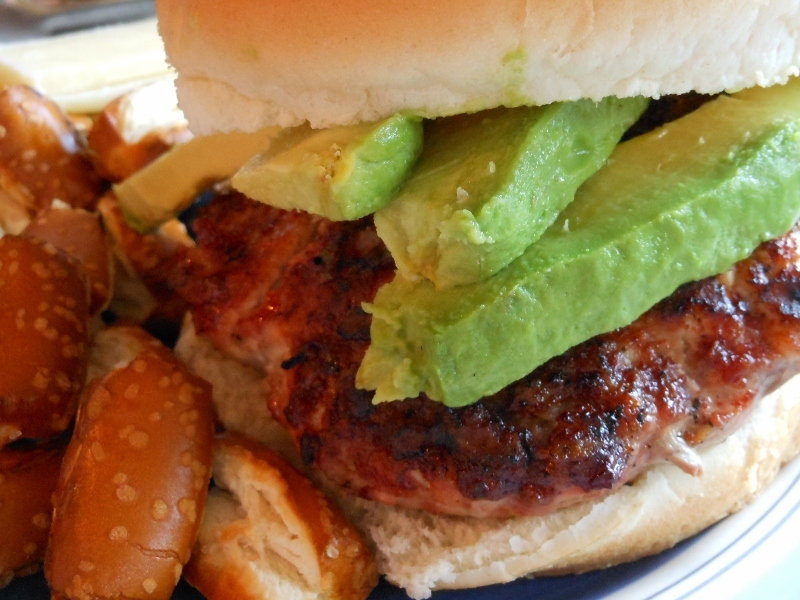 No matter your grill preference don’t hesitate to try pork next time the burger mood hits. Begin by warming up grill; once nice and hot make sure grates are clean and ready to use. Form pork into 4 equal sized patties. Season as desired; we used salt, pepper, and cayenne. 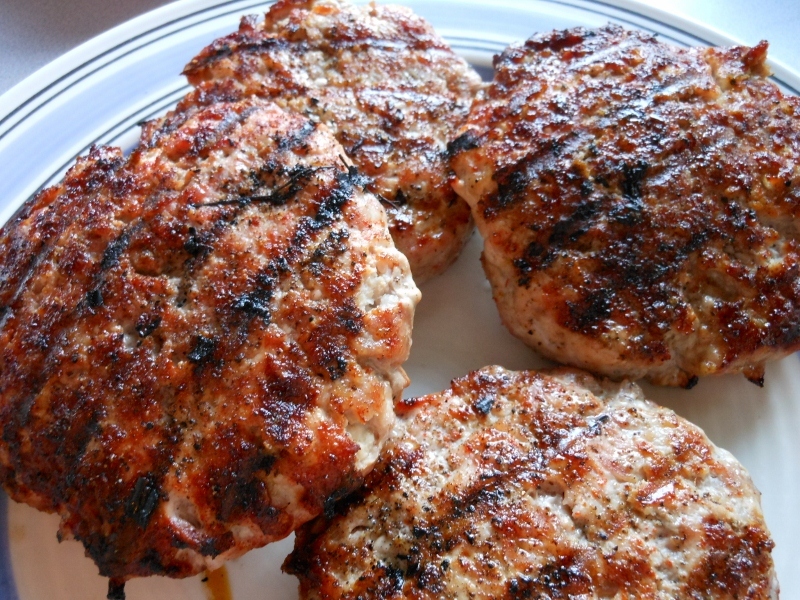 Place patties on hot grates; grill for about 7 – 10 minutes per side depending on size of patties and heat of grill. 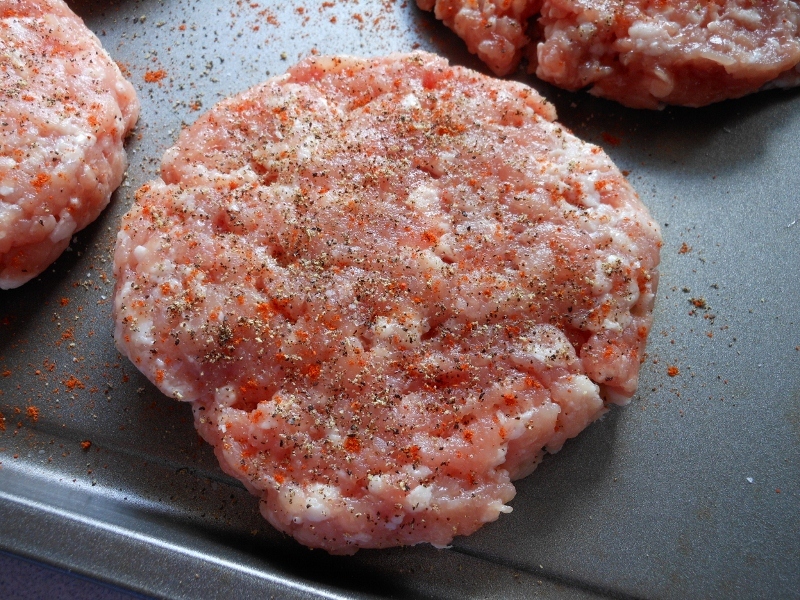 You want pork burgers on the medium well side but not dried out so adjust heat and time as needed. Remove from grill when ready and allow to rest for a few minutes before digging in.